Our friends over at Honest John have been answering some technical frequently asked questions by car owners on common and not so common car issues. Looking specifically at why cars won’t go above 60mph, questions regarding head gaskets winter tyres and fuel flushes. Q) My car won’t go above 60mph – what could the problem be? A couple of weeks ago my Mazda 3 diesel died on the motorway. It was towed to a local independent garage where the turbo was replaced, the DPF was filled with fluid and regenerated and the oil and filter replaced. It ran okay after that for about two days but then went into limp mode. I am now left with a car that is just about driveable, in limp mode, not revving above 3000rpm or going above 60mph. A) The usual reason for turbo failure is oil starvation to the turbo bearing because the bearing oil feed and oil return pipes have become choked with carbon. If these pipes were not replaced when the turbo was replaced, the new turbo will fail in the same way. Q) Why is my van cutting out after I had the head gasket changed? I had the head gasket on my Peugeot Boxer van changed, but on the way home (after about five miles) it decided to lose power and cut out. No lights came on the dashboard, it just went dead. After a couple of minutes, it started and I got about 30 yards before it cut out again. Any idea what's wrong with it? A) If it was done by a garage, we'd suggest that you get back to them to resolve it. If you did the job yourself, you should check for coolant leaks, check for a spark at the plugs and ensure fuel is getting to the Injectors. Q) Are all weather tyres compatible with summer tyres? Are all weather tyres compatible with summer tyres? For example, can I have summer tyres on the front and all weather tyres at the rear of my four-wheel drive vehicle? A) Most definitely not. All weather or cold weather are not compatible with summer tyres and on a 4x4 all tyres have to be the same make and type and within 3mm of the same tread depth or you will have problems with the automatic 4WD system. 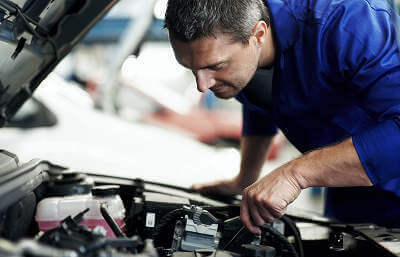 Q) Should I pay for a fuel system flush? My Dacia Sandero has just had its third service by the main dealer. They are now recommending a fuel system flush to remove moisture. My car has only done 12,000 miles, I run it on BP Ultimate petrol and it's kept in a heated garage. How necessary is it to have this procedure done? A) This is being routinely offered by dealers, but because you use BP Ultimate that already contains detergents and because you keep the car in a warm garage I don't think you need the fuel treatment. Q) Are CVT transmissions reliable? Are CVT transmissions reliable or should they be avoided? How much maintenance do they require? A) They are much better now than they used to be, and the latest in the new Honda CR-V is as good (if not better) than most torque converter autos. They do need a change of fluid every three to four years, but then so does a wet clutch Volkswagen DSG or Ford PowerShift. Look out for more Honest John questions and answers over the next few weeks. We will be sharing these on our social media pages, let us know your thoughts or even if you have any questions that you need to be answered let us know using @MyCarNeedsA_ on Twitter and @MyCarNeedsA on Facebook. Who has right of way on a hill?